OK. We’re going on a mini-rant here. Once again, we have Halloween in the middle of the week and parties and events planned this weekend AND on the actual day of Halloween. We’ve managed to move the days we celebrate the birthdays of people like the founder of our country to a day that is “more convenient.” Can’t we move Halloween to the closest Friday or Saturday night? I’m pretty sure the children would like it, not having to go to school the next day, and we can still celebrate “All Hallows Eve” in our own special way on the 31st. Rant over. So, we have a lot going on this weekend, and it seems that the El Verano Inn and the Moose Lodge have it all wrapped up. Tonight, Oct. 26 at the El Verano Inn it’s the “Brain Eaters Halloween Festival,” kicking off at 7 p.m. with a huge punk and rock line-up, that features the Brain Eaters, the Gentlemen Soldiers, Pauly Hips and the Child Bearers, Bite, the Quitters, Ammo-Wagon and Dark Lord Byron. There is no cover for the show. Saturday, Oct. 27, it’s Ten Foot Tone, playing their 13th Halloween show at the venue. 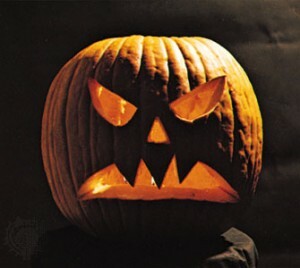 There will be prizes for the best costume, candy and other surprises. That show kicks off at 9 p.m., also no cover. The Moose Lodge has a double bill tonight, Oct. 26, with BackTrax and Showcase the Band coming together for a show that will celebrate Halloween with a costume contest and more, but also raise money for PKD, Polycystic kidney disease. PKD is one of the most common life-threatening genetic diseases, affecting an estimated 12.5 million people worldwide. The show kicks off at 8 p.m. Saturday, Oct. 27, it’s the annual Halloween show with the Bodies, the Quitters and some “dumb” guests. Doors are at 8 p.m. and the show starts at 9 p.m. You must be 21 or over to attend. If rock and punk music isn’t your thing for Halloween, then you can catch Dana Land on Saturday, Oct. 27, at the Sonoma Valley Womans Club, for a night of jazz that is being billed as “Nightmare on First Street East” which kicks off at 7 p.m. The event is a fundraiser for the Womans Club. Land has assembled quite a line-up for the evening, with Jonathan Alford, Jeff Sanford, Akira Tana and Chris Amberger backing her on vocals. For tickets and more info, call 373-0700. Olive and Vine in Glen Ellen has the full John Burdick Band on Sunday, Oct. 28, for the “Supper and a Show” series, kicking off at 6 p.m. The band will be doing original material as well as some cover songs. Annex Wine Bar, next to the Community Cafe on W. Napa St. welcomes Chris Hanlin for a show tonight, Oct. 26, kicking off at 6 p.m. Fridays are Fondue night at the annex, with a surprise fondue every week. Murphy’s Irish Pub has the always popular reggae act Midnight Sun Massive tonight, Oct. 26, kicking off at 8 p.m. Saturday, Oct. 27, it’s Mike Z, guitarist with E. Z. Kewl, for a night of standards and more, also going off at 8 p.m. Sunday, Oct. 28, it’s an early show with Cynthia Carr and the Carrtunes doing their annual Halloween Extravaganza, with prizes and specials. There is no cover for any of the shows at the pub. The Plaza Bistro welcomes Kontrabanned tonight, Oct. 26, for a 7 p.m. show, that features Sandra Poindexter on violin, Chris Planas on guitar and Ben Luis on bass. There is no cover for the show. The Gristmill Bar and Grill in Glen Ellen has the WildKats on Saturday, Oct. 27, for an 8 p.m. show. 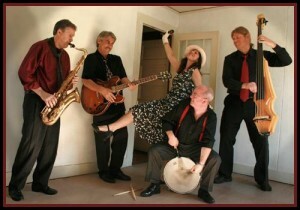 The band features several Glen Ellen locals and is always a fun time. There is no cover for the show. Sonoma Springs Brewery is celebrating their fourth anniversary this weekend on Saturday, Oct. 27, with live music and discounts, all depending on your apparel. The afternoon kicks off at 3 p.m. and has the Trees, followed by Wildflower Weed and friends. Discounts on brew can be had by wearing your Sonoma Springs T-shirt, a tye-dye T-shirt, or any model of lederhosen. At 7 p.m., it’s time for Jafar Thorne. Thorne has been engulfed in music since he was 13 years of age, but over the years, he came to admire the song craft and production of U2, the bluesy edges of Led Zeppelin, the pure soul of Bob Marley, the neo-tribalism of electronica, and the improv-driven, melting-pot ethos of the Grateful Dead. There is no cover for the afternoon or evening shows. The Jewish Winemakers are having a celebration of wine, and along with that is live music on Sunday, Oct. 28, kicking off at 1:30 p.m. at the Sonoma Valley Veterans Memorial Building with more than 20 local wineries pouring. The afternoon features Stephaine Ozer, Mama Loshn and Shameless. 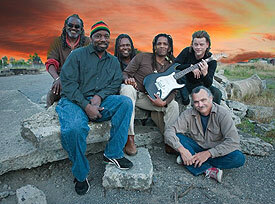 The Kathmandu Corner has Wildflower Wed with Jeffro Hunter tonight, Oct. 26, for an 8 p.m. show. Saturday, Oct. 27, it’s Richard Sumberg, also for an 8 p.m. show. Sunday, Oct. 28, the corner welcomes Jon Williams from Ten Foot Tone for an early show, at 6:30 p.m. doing a solo acoustic performance. If you’ve not yet seen Williams perform, make it on over to the corner on Sunday. The Blue Moon Saloon has DJ music tonight, Oct. 26, with Robert Roots, Cruxx and Divine Proportion laying down grooves starting at 9 p.m. Saturday, Oct. 27, it’s time for karaoke, kicking off at 9 p.m. Sunday, Oct. 28, it’s time for the blues jam that goes off at 10 p.m. There is no cover any night. The Epicurean Connection welcomes Gayle Skidmore on Saturday, Oct. 27, for a 7:30 p.m. show. Jami Jamison is on the road on Saturday, Oct. 27, for a show at Papas Taverna, kicking off at 7 p.m.
Sonoma Community Center’s vocal ensemble, the Hot Flashes, will take the stage in Andrews Hall Sunday, Oct. 21, at 7 p.m. Under the direction of the Sonoma Community Centers music director, Cynthia Tarr, this group of six women performs classic songs in a variety of styles spanning the decades from the ‘40s thru today. The group includes Susan Frye, Margaret Hatcher, Debbie Mulcahy, Cathie Powell, Mary Sue Ulven-Rank and Suzanne Shonbrun. The Annex Wine Bar has Tim Eschliman and Kevin Zuffi on the patio as part of the “L’Affaire d’Huitre” (the oyster affair) on Saturday, Oct. 20, kicking off at 3 p.m. There will be a variety of oyster options, both barbecued and raw. There is no cover for the event, and is dog-friendly, but you must be 21 or over to attend. Sonoma Springs Brewing Company has the always entertaining Jeff Falconer on Saturday, Oct. 20, for a 7 p.m. show. Falconer has a narrative in his songs that will make you wonder what part of the planet he is actually from. There is no cover for the show. The Kathmandu Corner is back in action with live music all weekend, starting tonight, Oct. 19, with Adam Traum doing a solo performance at 8 p.m. Saturday, Oct. 20, it’s the debut of the duo the Big O and J. T., which features Oscar Mooneyhan and John Tuohy from the local act BackTrax, also at 8 p.m. and Sunday it’s Tim O’Neil for an early show, kicking off at 6:30 p.m. The Blue Moon Saloon welcomes, from Finland, the Horsmas, a ska band on Saturday, Oct. 20, at 9 p.m. but it’s also Oktoberfest at the moon, with a pig roast and huge Oktoberfest mugs to hold your adult beverages. Sunday, Oct. 21, it’s the never-ending blues jam, kicking off at 10 p.m. There is no cover either night. Olive and Vine in Glen Ellen continues the “Supper Club Sunday” on Sunday, Oct. 21, with an appearance by John and Laura Benward. Laura has a voice similar to Judy Collins and John plays the mandolin as accompaniment. Sitting in at times will be John Burdick on guitar. The doors open at 6 p.m.
Murphy’s Irish pub welcomes the Cork Pullers tonight, Oct. 19, playing folk, country and Americana for an 8 p.m. show. Saturday, Oct. 20, it’s Larry Carlin and Keystone Station for a night of bluegrass, also at 8 p.m. Sunday, Oct. 21, there is no music, but an evening of dinner theater. For reservations and more info, call 935-0660. The Big 3 Diner has Showcase the Band tonight, Oct. 19, for a 7 p.m. show. The Ledson Lounge has William Russell tonight, Oct. 19, for a 6 p.m. show. Russell’s musical style is a combination of Latin smooth jazz, light rock, blues and melodic romantic original compositions. Saturday, Oct. 20, it’s Dan Daniels and Joyce Grant for a 7 p.m. show. There is no cover either night. Jamie Clark Band – Friday, Oct. 19. It’s time for the American Cancer Society’s annual Relay for Life, held at the track at Sonoma Valley High School. Since 1985, more than 5,000 locations will have their own local version of the relay, many that will their own local flavor. Since its inception, the Relay for Life has raised more than $3.8 billion nationally, and more than $2 million here in Sonoma Valley, money that is used to fund research to find a cure and offer support programs to make cancer easier to cope with. The event is a 24-hour one, kicking off at 10 a.m. on Saturday, August 4, with the survivor lap, a lap that is reserved for cancer survivors, then for the next 24 hours, teams and individuals take turns walking the track for the entire 24 hours. After the opening ceremony, the music begins, with the “Sonoma Sinatra,” Stan Pappas kicking things off at 10:30 a.m. The Maldonado Brothers follow at 11 a.m. with the mmmm bop fundraiser at 11:30 p.m. Noon brings Danny Wirick to the stage, followed by the Cork Pullers at 12:30 p.m. and then Jon Popenoe at 1:30 p.m. 2 p.m. welcomes Elvis and the Flashbacks, followed by Dan Martin at 3 p.m. 3:30 p.m. brings Junior Boogie and his award-winning harmonica to the stage with Tony Gibson at 4:30 p.m. Ian Franklin kicks off the 5 p.m. hour and the Rich Little Band wraps up the live music at 6 p.m. From 7 p.m. on, it’s Karaoke with Cat. There is no cover for the event, but there will be plenty of opportunities to donate and support the cause. We have to say from experience, that once you get to the event, it’s actually hard to leave. The Jack London State Park will be the scene of another performance from the Transcendence Theatre Company, and this weekend it’s family night. The first show goes off tonight, Aug. 3, with the doors open to picnicking at 5 p.m. and show time at 8 p.m. in the winery ruins in the park. The shows will feature songs and performances from “Mary Poppins,” “Peter Pan,” “Annie,” “Beauty and the Beast,” “the Little Mermaid” and more. The show is performed again on Saturday, Aug. 4, with doors also at 5 p.m. and show time at 8 p.m. A portion of each ticket benefits the Jack London State Park. Sebastiani Winery and Vineyards welcomes the Jami Jamison Band to the tasting room tonight, Aug. 3, for an evening of swing, blues and jazz. We’ve been saying it for years that Jamison is one of the best undiscovered vocalists in the whole North Bay and longtime Sonoma Valley boy Dennis Cordellos never fails to deliver on the guitar. Barbecue from Mongo’s Barbecue will be available as well as wines by the glass. There is no cover for the show, which kicks off at 6 p.m.
We’re not sure exactly where this fits in, so we’re just going to lay it out there. Sunday, Aug 5, is Farmer’s Day at the Sonoma County Fair. They are kicking off the morning with a sheep drive from downtown Santa Rosa at 10 a.m. The event will be a follow up on last year’s cattle drive and this year will have a 76 – trombone parade and tractor procession. Anyone wanting to participate with a horn instrument, or not, can just show up at Courthouse Square in Santa Rosa on Sunday, Aug. 5, at 9 a.m. All participants will get a commemorative T-shirt and free admission to the fair for the day. For more info, call 545-4200, ext.283. Please, if you attend, take video and send the highlights to us at the e mail above. This should be good. Murphy’s Iris Pub welcomes Liz Brown and True Grit tonight, Aug. 3, for an 8 p.m. start. Saturday, Aug. 4, it’s a pub favorite, Andrew Freeman, also for an 8 p.m. show. Sunday, Aug 5, it’s an early show with Out of the Blue, kicking off at 6:30 p.m. There is no cover for any of the shows at the pub. The Ledson Lounge has music tonight, Aug. 3, from William Russell on solo-acoustic guitar, for a 6 p.m. start time. The Plaza Bistro has jazz tonight, Aug. 3, with the Jeff Massanari Trio, kicking off at 7 p.m. With Massanari tonight will be Tim Campbell on organ and Marshall Gentry on drums. Saturday, Aug. 4, it’s the Real Jazz Quartet, a group that contains local jazz musicians and will feature Max Bonick on piano, Colin McCuen on bass, Miles Tune on drums and Alex Garcia on saxophone, flute and clarinet. That show also kicks off at 7 p.m. and there is no cover either night. It’s artist reception night at the Sunflower Caffe tonight, Aug. 3, and acoustic music will be provided by Sue Albano and Mark Dennis. The featured artist is Mila Chaname and the event kicks off at 5 p.m. The Moose Lodge has Showcase the Band on Sunday, Aug. 5, for an early evening of dancing that kicks off at 5 p.m. If you liked dancing at the Little Switzerland before its demise, these Sunday night shows are for you. The Blue Moon Saloon has karaoke on Saturday, Aug. 4, starting at 9 p.m. Sunday, Aug. 5, the Sunday night blues jam continues, kicking off at 10 p.m. The Hellhounds are on the road this weekend to Napa, with a show tonight, Aug. 3, at Uva Trattoria, kicking off at 8:30 p.m. Saturday, Aug. 4, the bluesmen are at Cuvee, for a 9:30 p.m. show. Jaydub and Dino have achieved a status achieved by only a few, and that is to be able to play in the produce aisle in a grocery store, and this time it’s on Saturday, Aug. 4, at Oliver’s Market in Cotati. Local Glen Ellen musician Chris Votek will be in Santa Rosa with his band, Tes Elations, at the Arlene Francis Center on Saturday, Aug. 4, for an 8 p.m. show. Showcase the Band will be in Santa Rosa at the Odd Fellows Hall on Saturday, Aug. 4, as part of the ICF fundraiser, that kicks off at 8 p.m. For tickets and more info, call 535-0292. 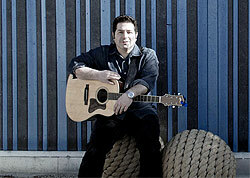 The Tuesday night market has Andrew Killian under the palm tree tonight, June 5, starting at 5:30 p.m. The market after-party at Murphy’s Irish Pub welcomes Adam Traum tonight, June 5, kicking off at 7:30 p.m. The Blue Moon Saloon has DJ Saucy 1 with special guests tonight, June 5, at 9 p.m. Dining Club Rive Gauche at the Grange Hall in Boyes Hot Springs welcomes Wendy DeWitt on Wednesday, June 6, for a night of music and a dinner prepared by Wild Thyme Catering. Reservations are required by calling 996-0900. Murphy’s Irish Pub has Grandpa Banana on Thursday, June 7, at 7:30 p.m. 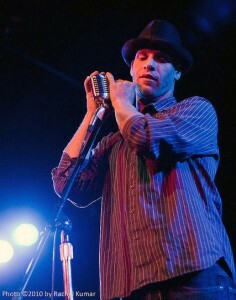 The Olde Sonoma Public House welcomes Joe Herrschaft on Thursday, June 7, for a 7:30 p.m. show. The Plaza Bistro welcomes Jonathan Poretz on Friday, June 8, at 7 p.m.
Murphy’s Irish Pub presents the Gentlemen Soldiers on Friday, June 8, for an 8 p.m. show. Sebastiani Winery and Vineyards has the Jami Jamison Band on Friday, June 8, Showtime is 6 p.m.
HopMonk Tavern Sonoma has Christopher Lods in the beer garden on Friday, June 8, for a 5 p.m. show. Later the same night, the tavern welcomes Ian McFeron on the inside stage at 9 p.m. The Sonoma Valley Mentoring Alliance is having a “Young Mentor Recruitment” night at Saddles Steakhouse on Wednesday, March 21, with JoyRideperforming. Anyone interested in becoming a mentor is invited to this free event with complimentary cocktails and appetizers. The night kicks off at 5:30 p.m.
Tom Martin will be at the Big 3 Diner in Boyes Hot Springs on Wednesday, March 21, for an evening of original music, blues and jazz. Martin starts at 7 p.m.
Bernie Krause, one of the original synthesizer pioneers will be performing at the Sonoma Valley Veterans Memorial Building on Wednesday, March 21, as part of Sonoma Birdings presentation of “The Great Animal Orchestra.” The night kicks off at 6:30 p.m. The Blue Moon Saloon has DJ Saucy 1 with special guests on Wednesday, March 21, at 9 p.m.
Murphy’s Irish Pub welcomes Savannah Blu for a show on Thursday, March 22, kicking off at 7:30 p.m. 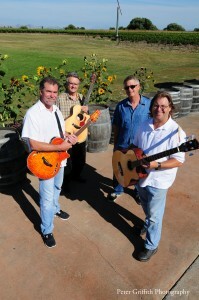 The Olde Sonoma Public House has Rag Tag Sullivan on Thursday, March 22, at 7:30 p.m. The Plaza Bistro welcomes Dave Rocha on Friday, March 23, at 7 p.m.
Murphy’s Irish Pub presents the Jami Jamison Band on Friday, March 23, for an 8 p.m. show. The Sonoma Valley Chorale will be holding its annual presentation and auction fundraiser on Friday, March 23, at the Sonoma Valley Veterans Memorial Building. For tickets and more info, call 935-1576.